Body transparent, red to black with a white spiny head. Has not yet been assessed for the IUCN Red List. Can be found in the Western Central Pacific (Australia, New Caledonia, Palau and Papua New Guinea). 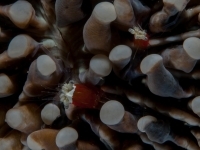 This species is reef-associated and can be found at a depth range between 9 and 12 meters. 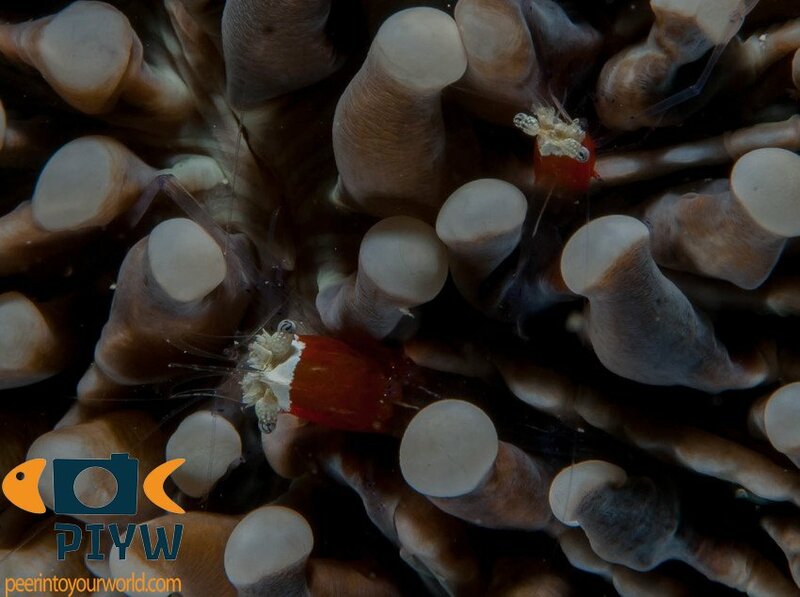 Found on or close to mushroom coral and various anemones. Eat small invertebrates, parasites, algae and plankton. Shrimp associate of the fungiid coral. Also known as Popcorn Anemone Shrimp, Crown Shrimp, Heliofungia Shrimp.